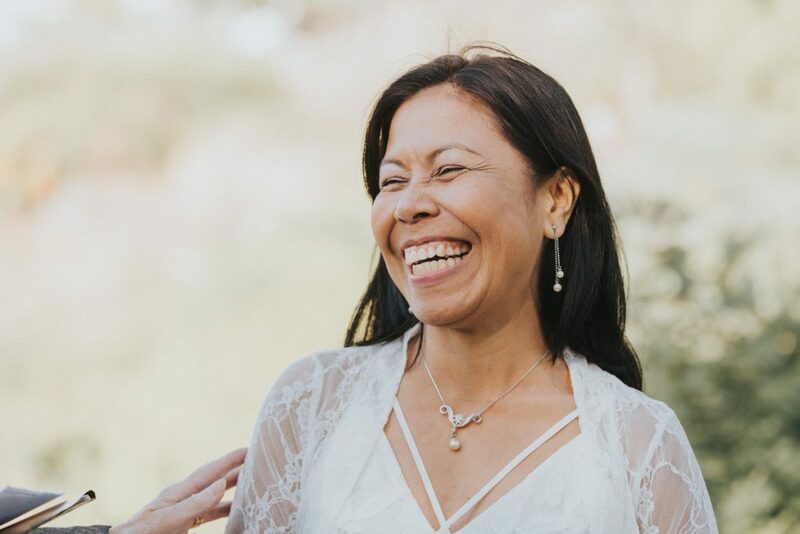 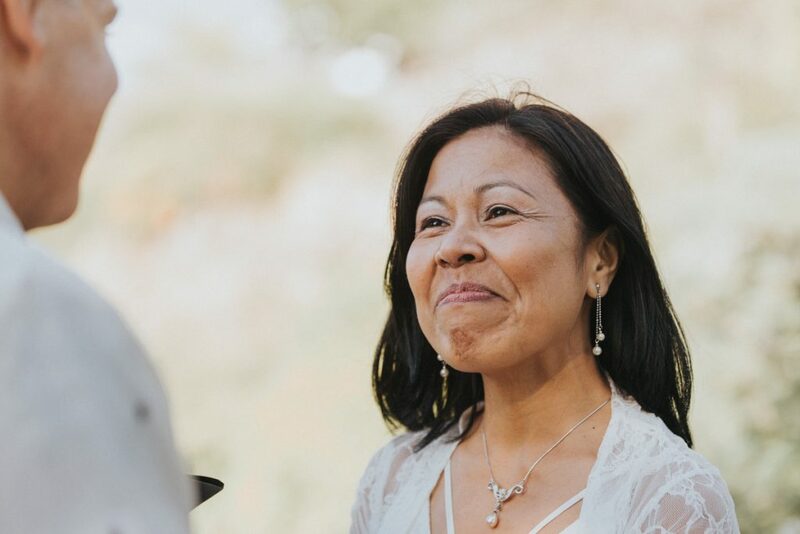 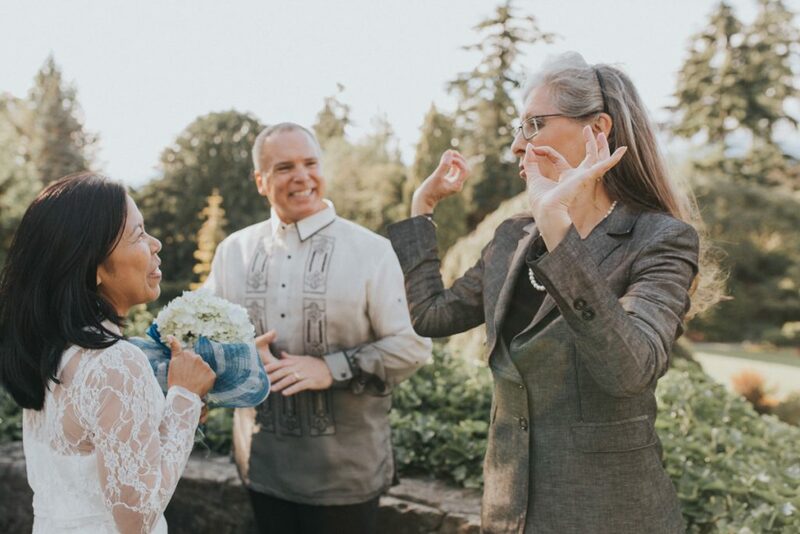 It is always flattering when another photographer hires you for a shoot, and I was honoured when Abigail Quigley asked me to capture her aunt Jane’s wedding. 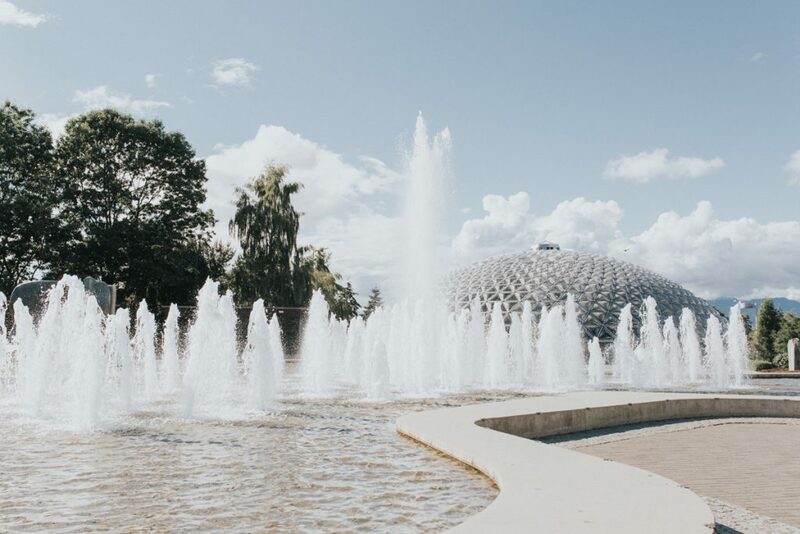 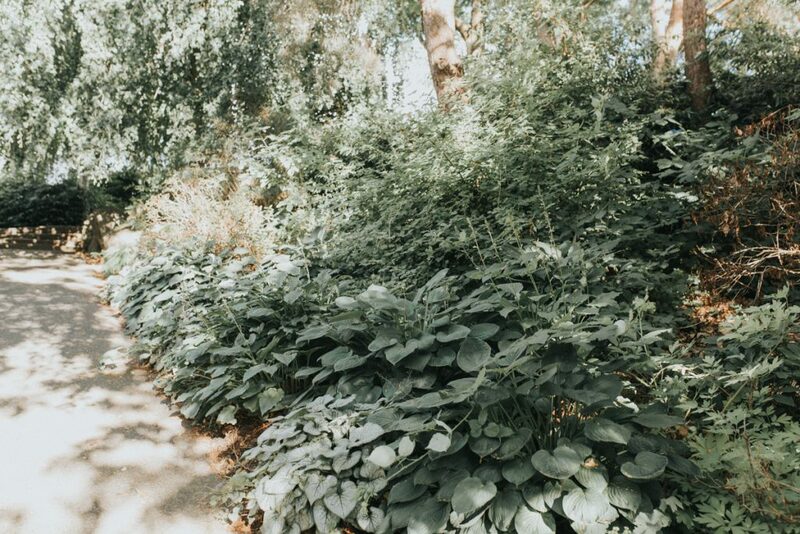 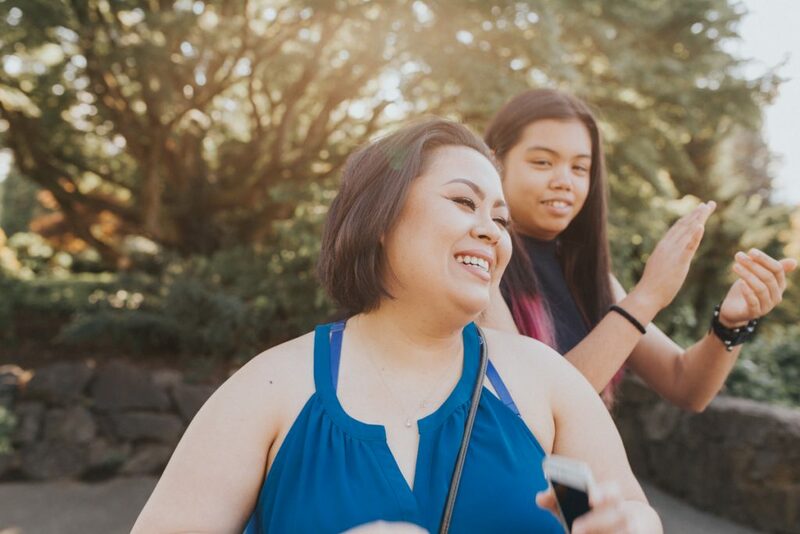 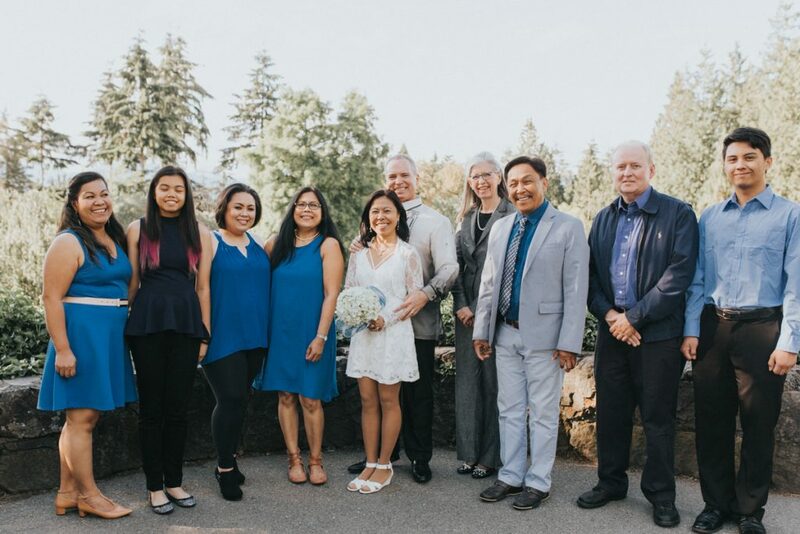 Jane & Dan got married in Queen Elizabeth Park in Vancouver on Monday June 13th with a few close family members. 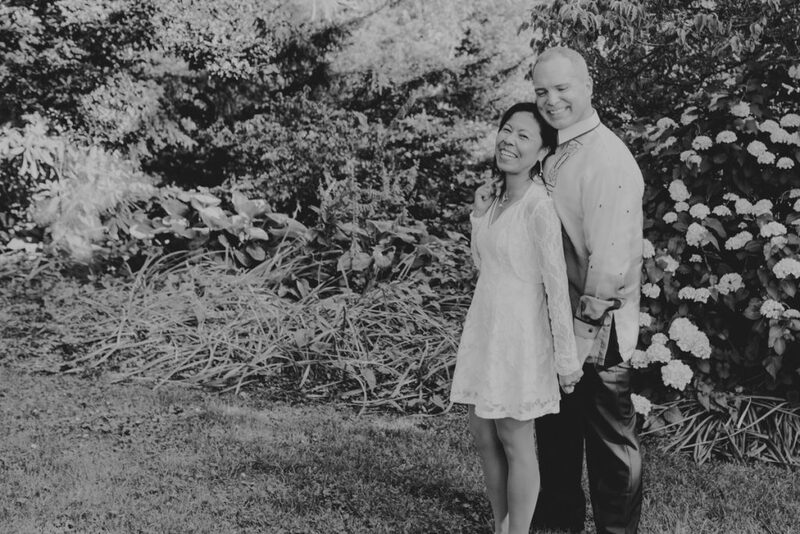 These two were one of the smiliest couples I have ever photographed, full of love love and giggles! 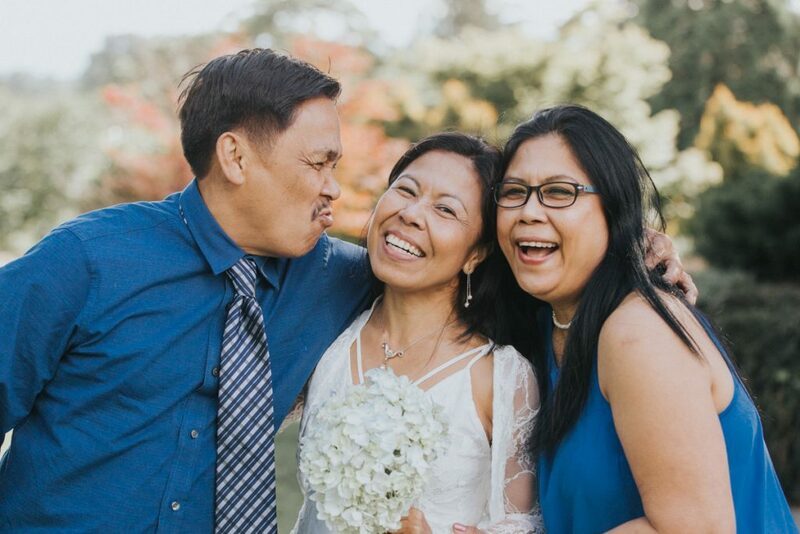 They were surrounded by a few special family members that were equally as smiley, a fun bunch indeed! 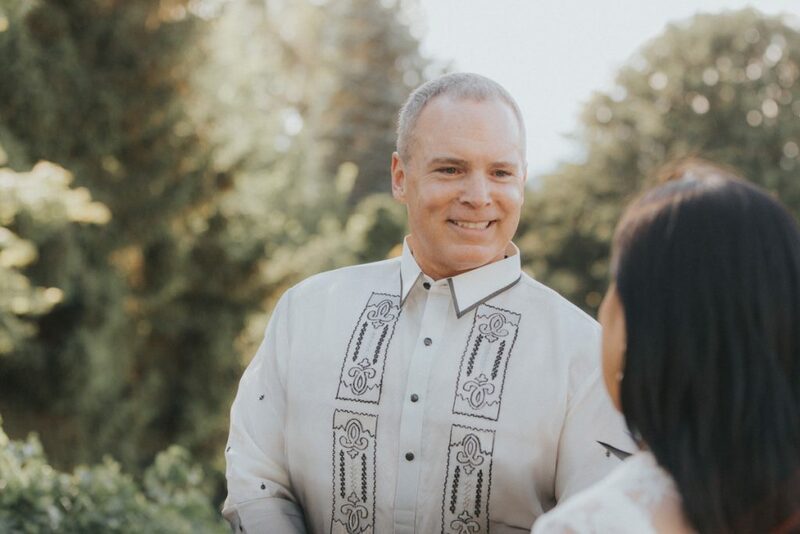 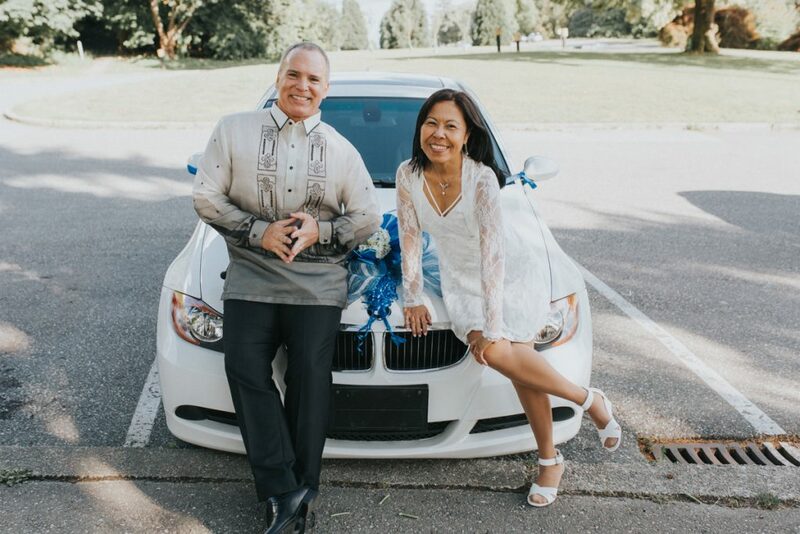 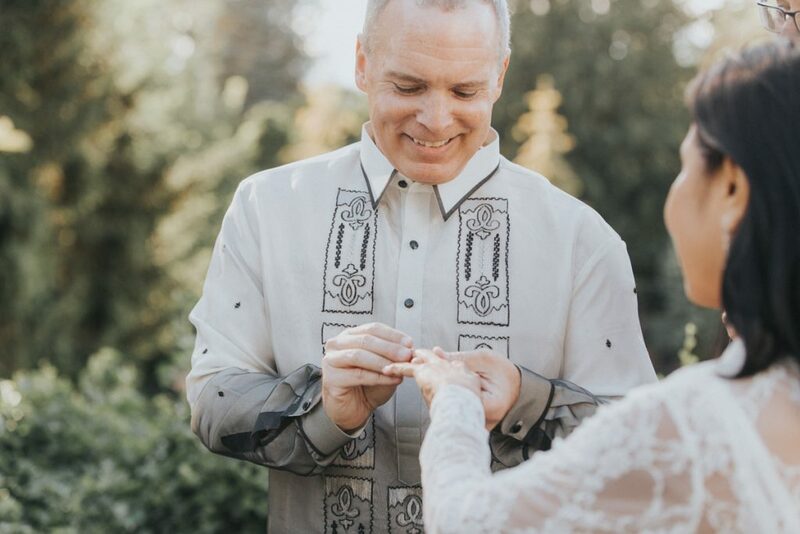 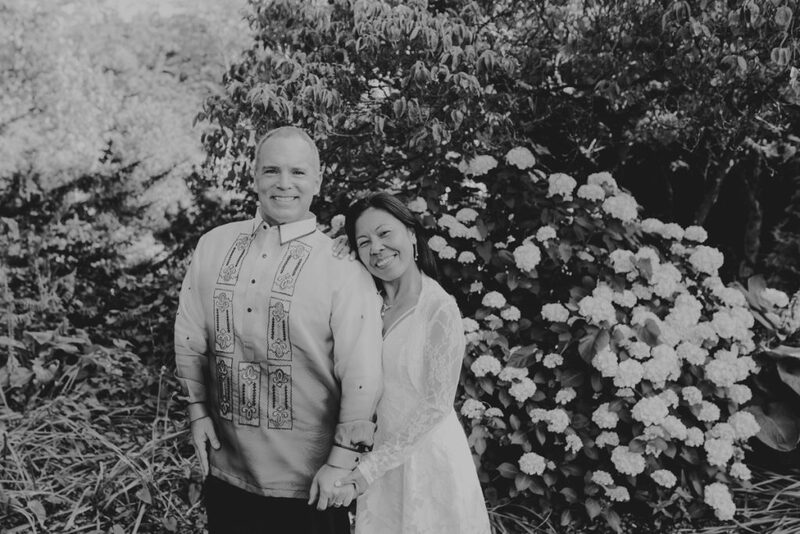 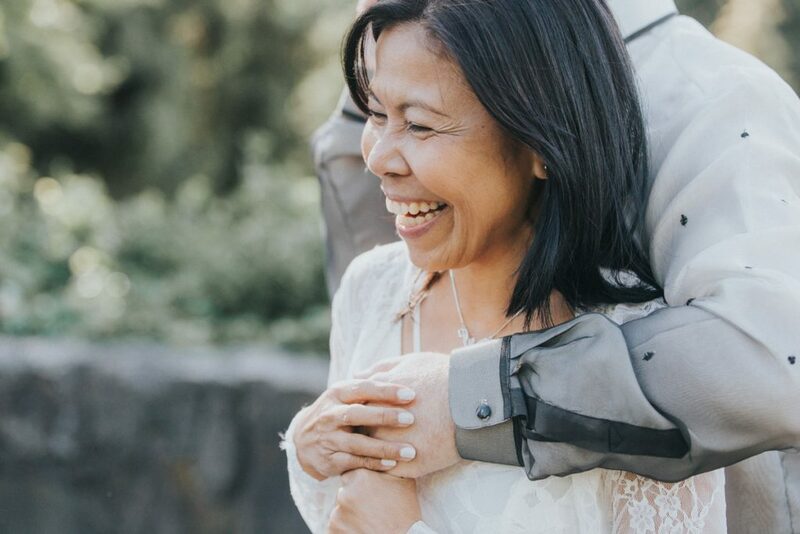 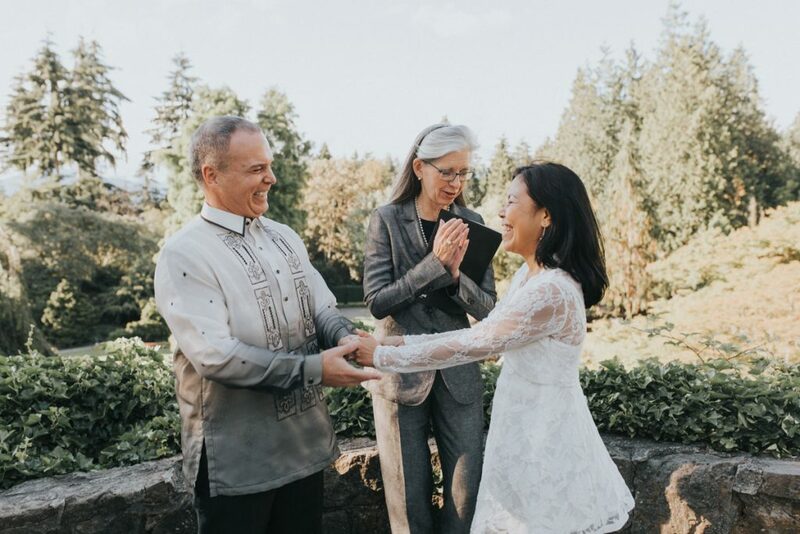 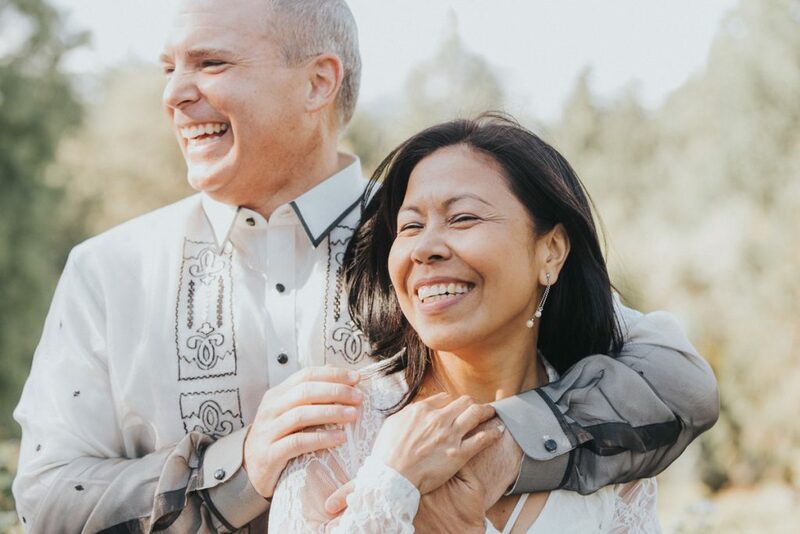 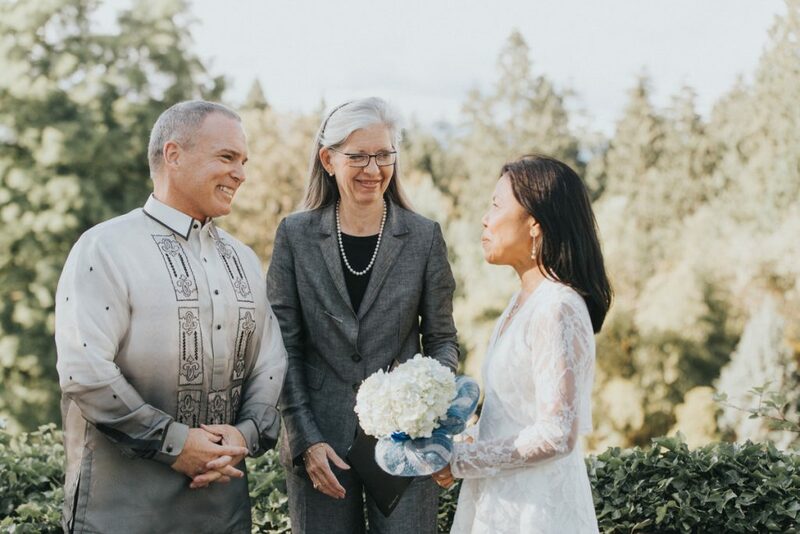 Jane’s family is from he Philippines and I thought it was lovely how Dan wore a traditional Barong for their special day. 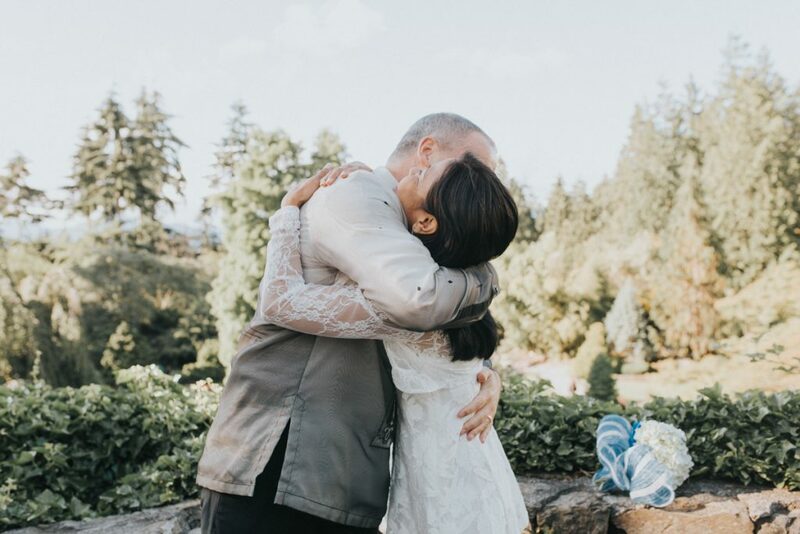 They got super lucky as it had been pouring rain the day before and that morning but the skies were clear and the night was lovely and warm. 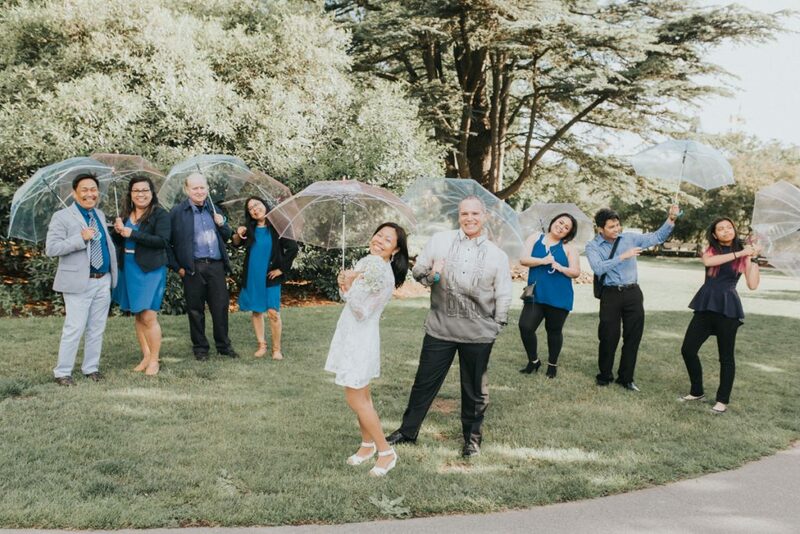 Though they had bought cute umbrella’s just in case, and despite there being no rain wanted to get a shot with their fun umbrella props. 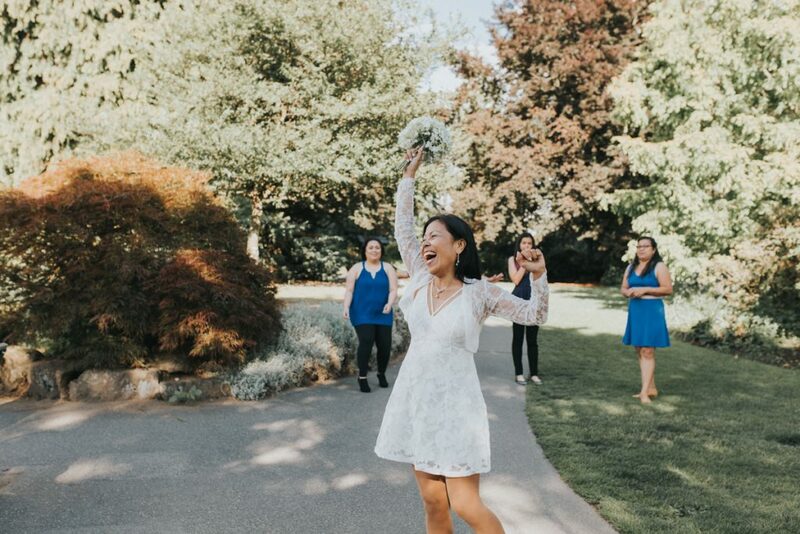 One of my favourite moments was when Jane did her bouquet toss, she psyched them out a few times, getting the ladies all excited and then not throwing the bouquet with lots of laughter coming after that. 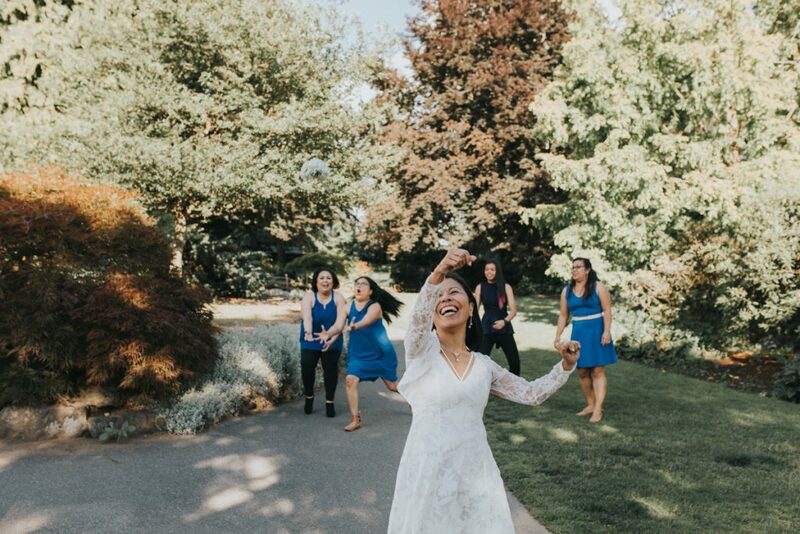 One of my favourite shots of the night is of the bouquet toss and her sisters face when trying to catch it! 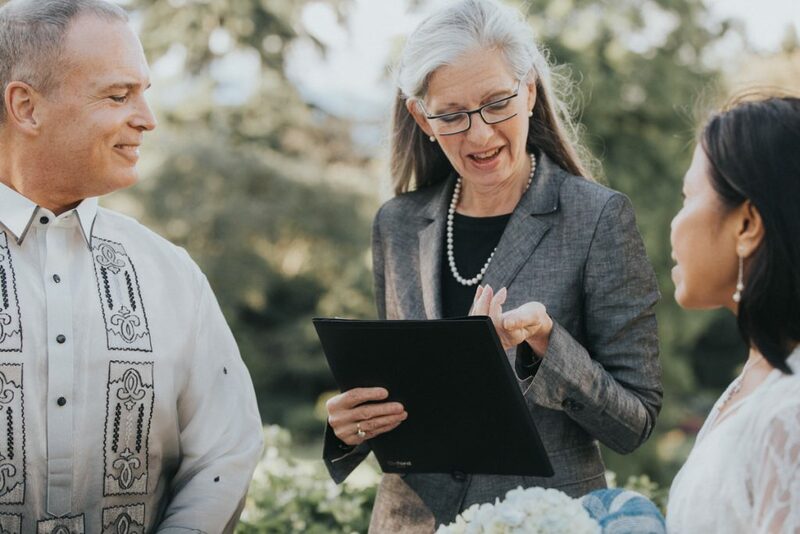 I also quite liked when their marriage commissioner ended the ceremony by sprinkling positive fairy dust on them, wishing the newlyweds a life of health and happiness. 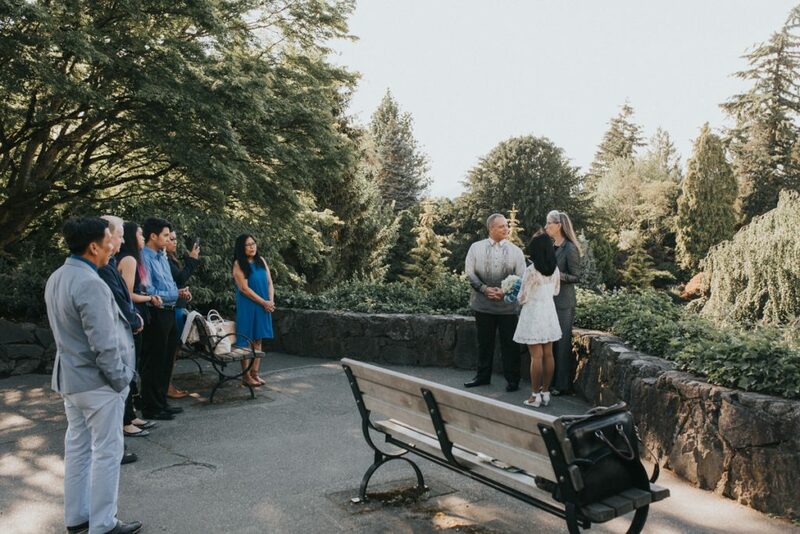 On the way back to their car we saw the ticket man giving them a ticket, and we all started kindly shouting at him: Hey it’s their wedding day be nice! 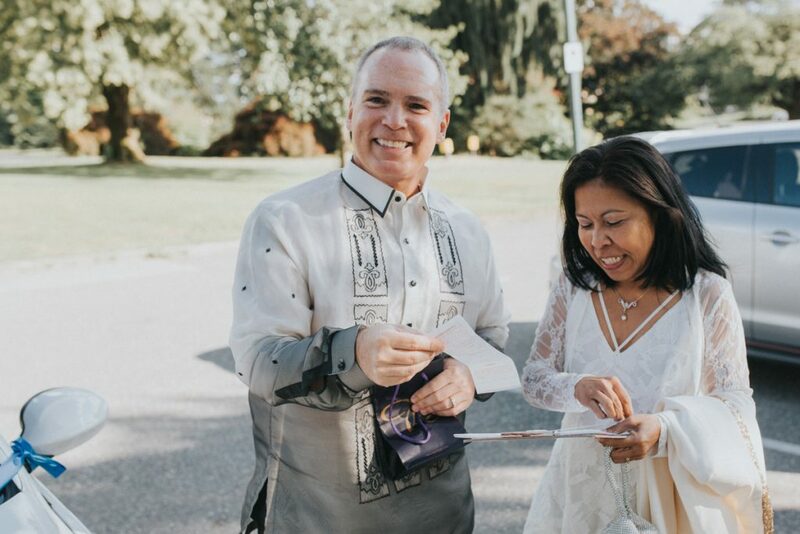 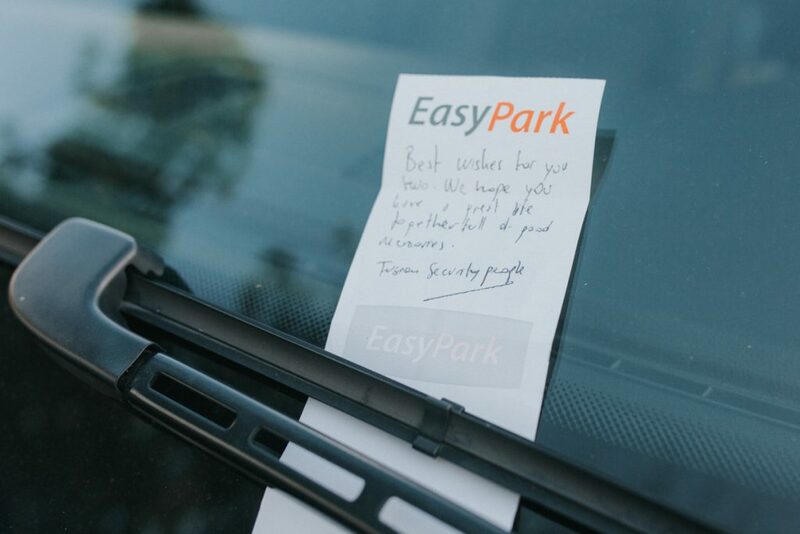 Well when we got to the car we saw the ticket he wrote, as pictured down below, which gave us all a great laugh and a fun memento for the couple. 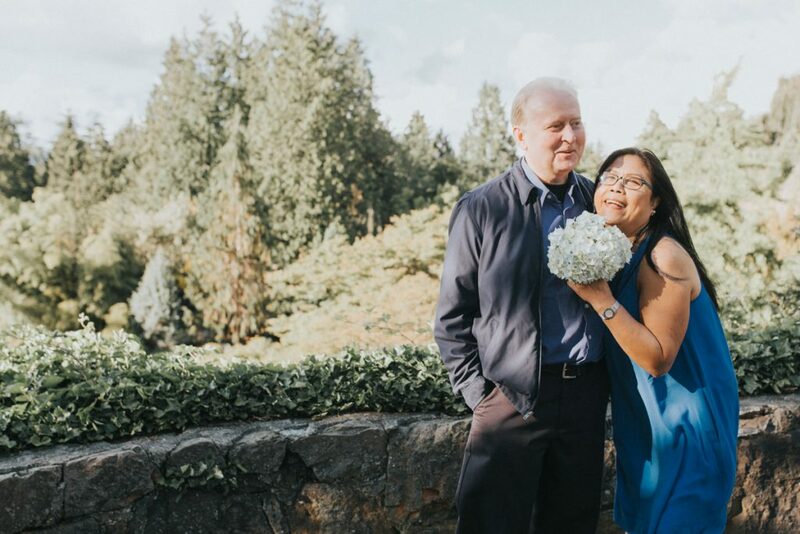 I only spent a short time with these lovely folks but enough time to see that they are going to have a lovely life together. 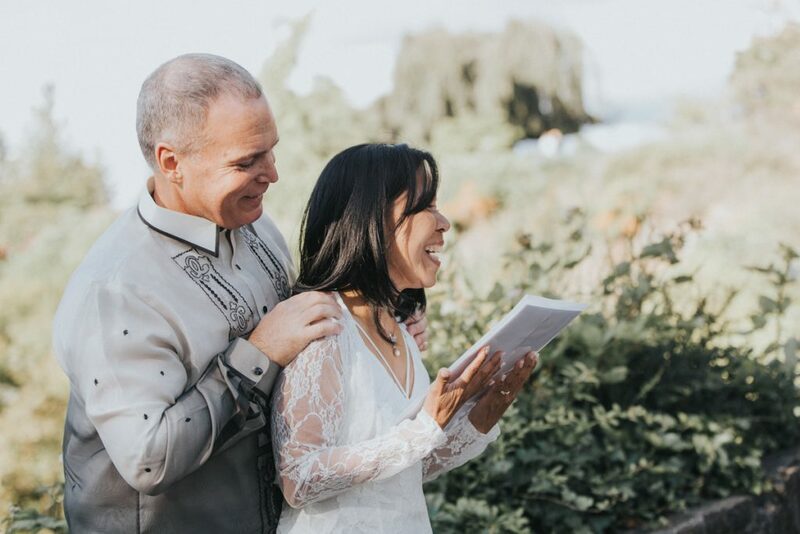 Small intimate weddings like this really go to remind us that love truly is all you need. 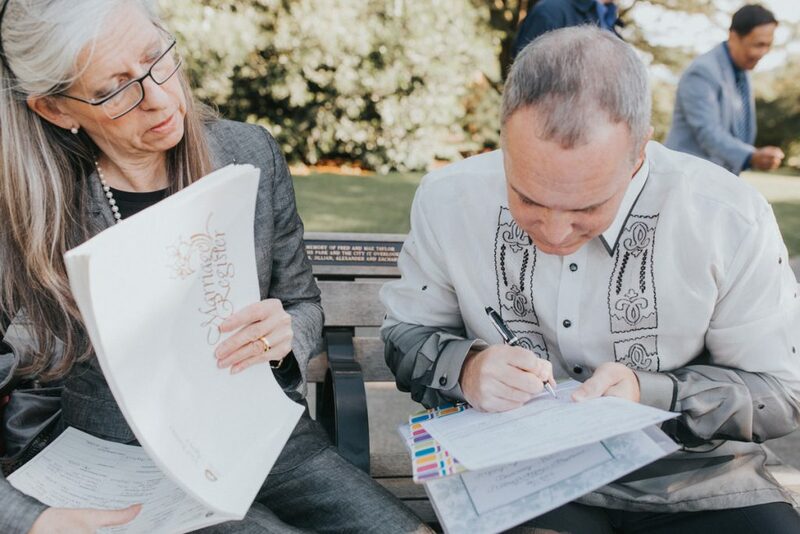 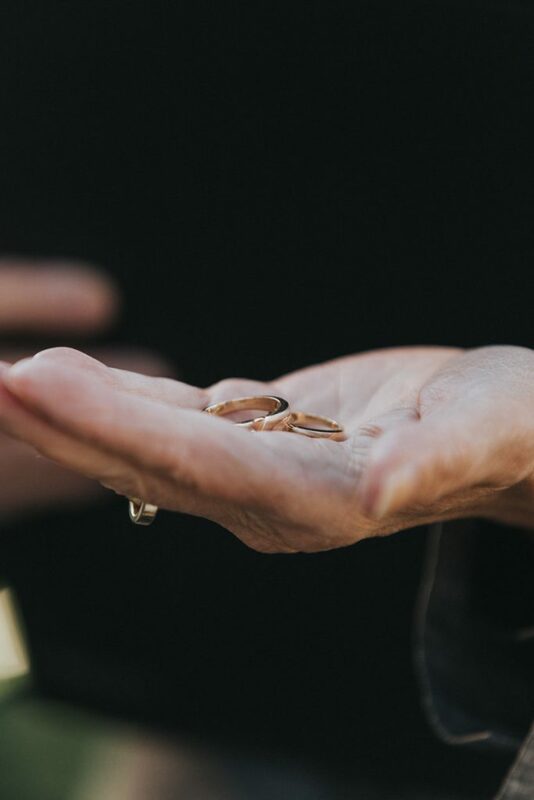 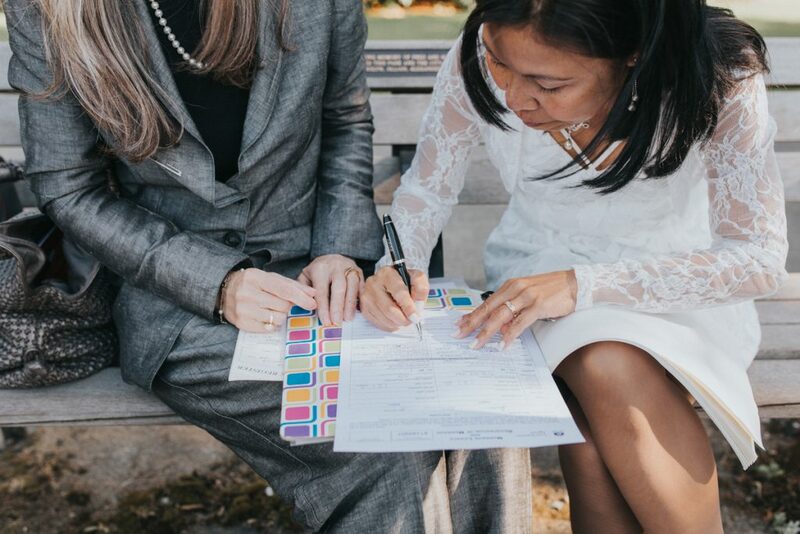 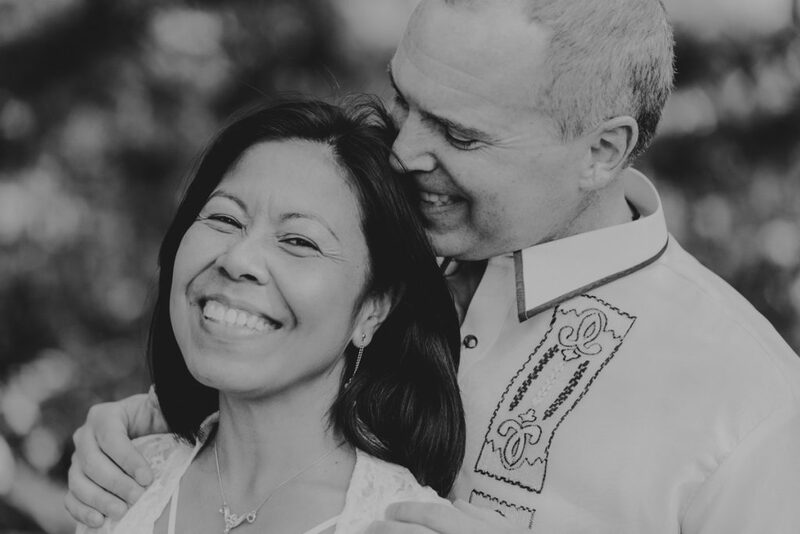 The bells and whistles are nice little additions but the simplicity of you, your loved ones and your partner in a beautiful space really is all you need when you make those sacred vows to one another.